This is MUST reading for anyone with a daughter – and of great benefit to any woman of any age. Despite the name “girl” in the title, this is a gracious, positive, comprehensive presentation of biblical womanhood. 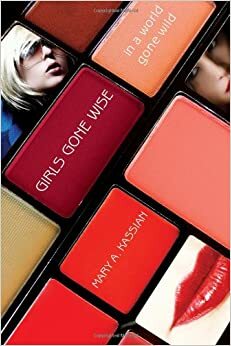 Kassian contrasts the Girl-Gone-Wild of Prov 7 with the Girl-Gone-Wise of Prov 31 in 20 areas including heart, approach, habits, appearance, body language, roles, sexual conduct, boundaries, authenticity, neediness, reliability, speech, influence, teachability, sustainability and others. Profound truths are to be found on almost every page. Thoroughly scriptural, unfailingly interesting, compellingly illustrated. If I could I would put a copy in the hands of every woman in our church. Don’t miss this. Parents – you need to read this yourself (Dad and Mom, both) and determine for yourselves when best to put it into the hands of your daughter. But do not deprive her of some of the best, clearest and most helpful advice she will ever receive.